There are two Speech and Language Therapists working at East Court Assessment Service. 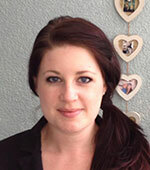 Sarah and Alexea have experience of assessing and supporting nursery, primary and secondary school children. They offer speech and language assessments and therapy for children of all ages. Whether you are worried about your child’s speech sounds, use or understanding of language, or social communication skills, we can carry out a detailed assessment to determine whether there is a specific difficulty, and give recommendations for support. Review or update assessments can also be carried out. Blocks of therapy can be discussed, the frequency and length of which will depend on the child’s needs. Nursery or school visits to discuss intervention strategies with staff working with your child can be arranged, and we can provide resources to support your child at home and at school or nursery. Fees vary depending on need, please contact Sarah or Alexea to discuss the type of assessment and/or therapy you require.